This month, I’m thrilled to be participating in Unsettled, a co-working and coliving retreat with 20 interesting people from all over the world. 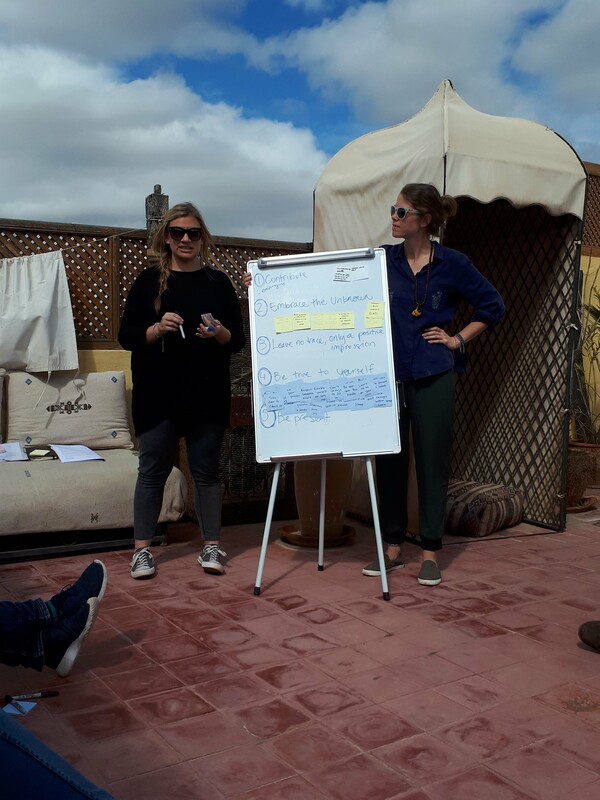 We’ve formed a community and we’re living in Marrakech, Morocco, learning from each other and exploring together. Enjoy the stories! I landed at the Marrakech Menara airport feeling very curious about how the rest of the night would end up. My first flight was delayed due to a technical problem with aircraft, and my connecting flight was delayed because some passenger wouldn’t get out of the plane’s bathroom for take-off. Eager to get out, I immediately connected to the airport’s Wifi on my phone, and let everyone know that I had landed – the whole team of Unsettlers had already been communicating through Slack for a few days, and will continue to do so for the rest of the month, which is very convenient as we can always track where everyone is. A fellow Canadian Unsettler who had also just landed managed to find me at the luggage terminal, and out we went to find the driver who would take us to our home for the month. Our driver, who was holding a big sign that said Unsettled led us to his van and off we went. 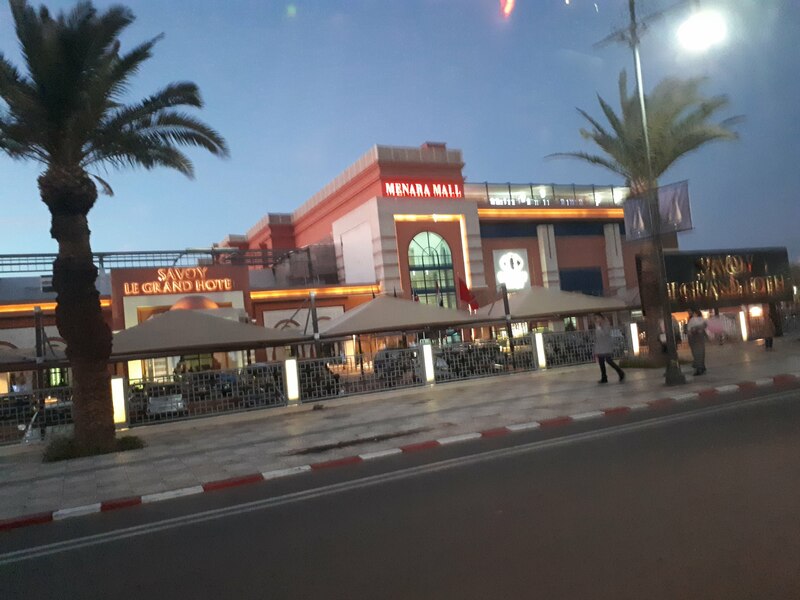 We drove through the modern part of Marrakech which is much more modern than I expected. Palm trees lined the calm streets along with colorful, lit-up hotels, buildings and shopping malls. As we neared the medina, the old, walled part of the city that we were staying in, there were less lights and a bit more traffic – human traffic. Our driver dropped us off at a spot just inside the medina walls as most of the medina is a car-free zone. Our experience leader, Bonnie, greeted us at the drop-off point with giant hugs and smiles. The driver shoved our suitcases in a wheelbarrow, and motioned us to follow him. To get to the traditional Moroccan riad which we are staying in, we had to walk through narrow, winding streets and got our first experience of making our way through Moroccan traffic – people hurrying home, people taking their time, motorcycles going at full speed both ways, donkeys pulling carts, children running in between all of those, parents on bikes with their children, kids on bikes with other kids – a very interesting scene. 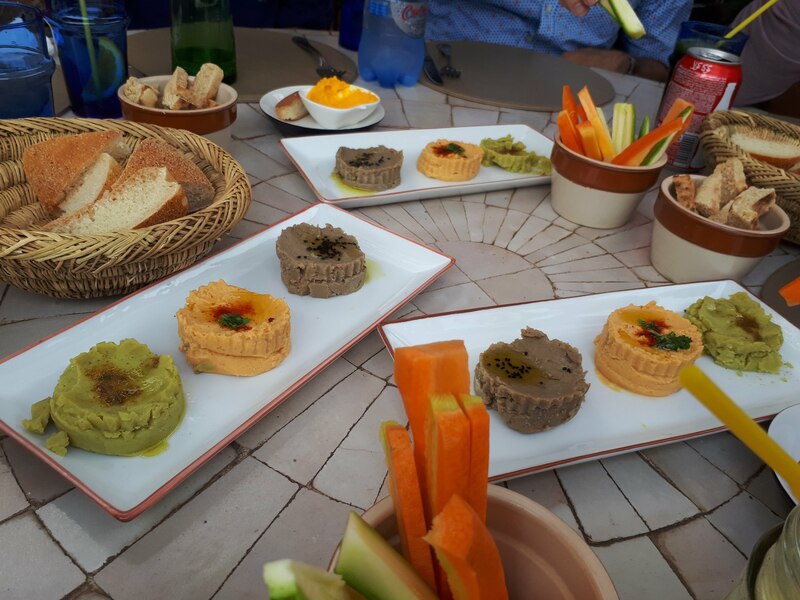 After safely making it to the gorgeous riad deep into the medina, we headed out for dinner to try some delicious tagine and back to get ready for Orientation Day. All of us Unsettlers gathered on the rooftop to meet with our experience leaders Bonnie, Lala and Adnan. We got a chance to talk to everyone and ask each other some very random and fun questions that the leaders had prepared for us. We were then challenged to discuss Unsettle’s values and how we could apply them to get the most out of our experience. What does it really mean to contribute? How do we/could we embrace the unknown? What do we think it means to leave no trace, only a positive impression. We prepared for the month by letting everyone’s presence in, feeling the atmosphere, and reflecting on what we went through to end up here. We then broke out for lunch or naps, during which some of us headed to a nearby bistro to try some local delicacies. 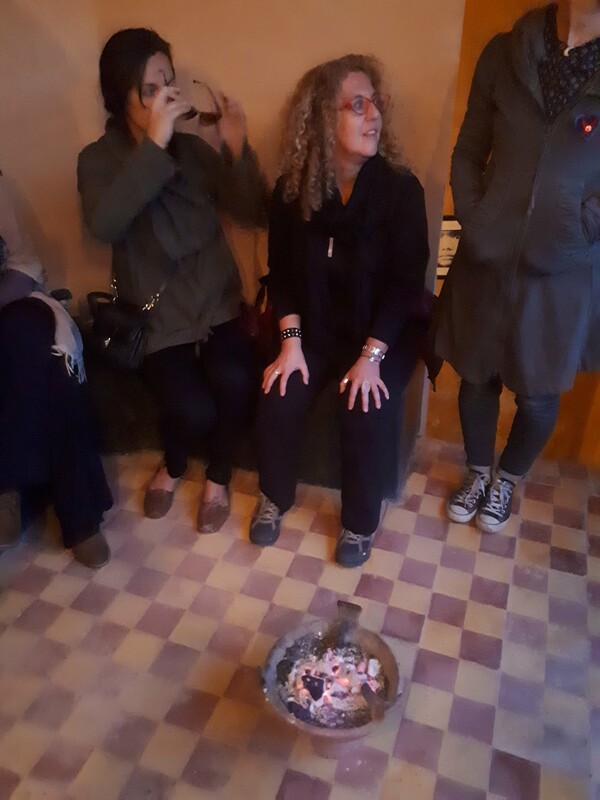 We met again that evening and officially kickstarted our Unsettled experience with a Moroccan ritual of letting go. We gathered around a cauldron of burning coal, and one by one, we stated something that we wished to let go of during the month – bad or unhealthy habits, traits or thoughts – so that we can make the most of our month. We then each threw in some coal and stepped over the fire twice, so as to start the process of letting go. 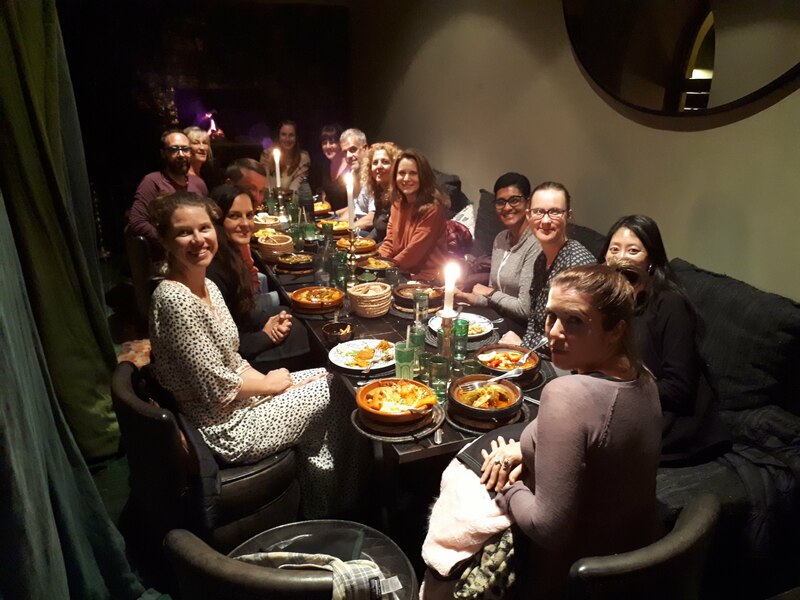 Then, off we were to our welcome dinner at the very nice Le Jardin, where we had some wonderful tagine and mint tea. Next: Experience Designing – How do you design a coworking experience with 25 unique people from around the world?